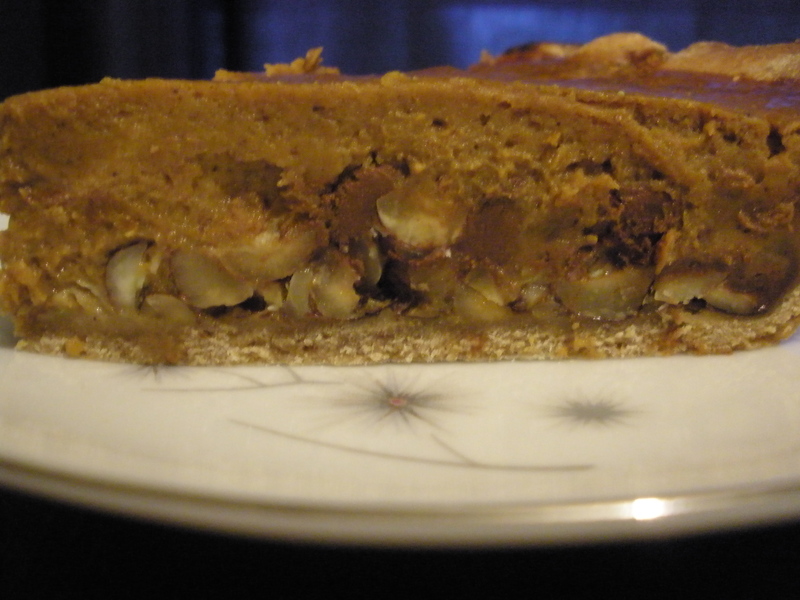 This recipe combines Martha Stewart’s pie crust recipe, pumpkin pie filling from a Heidi Swanson recipe on http://www.101cookbooks.com, and my own addition of a hazelnut chunk and chocolate layer on the bottom of the pie. 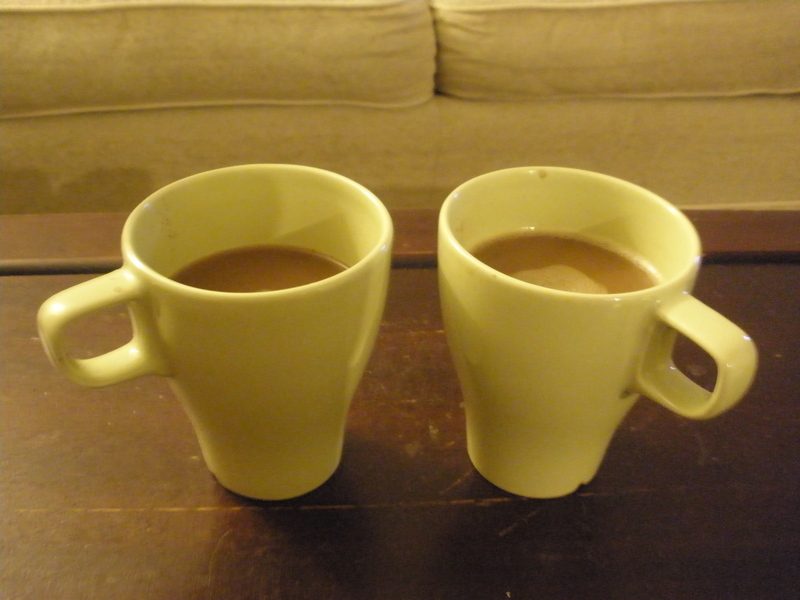 This was an excellent way to round out our Thanksgiving meal. 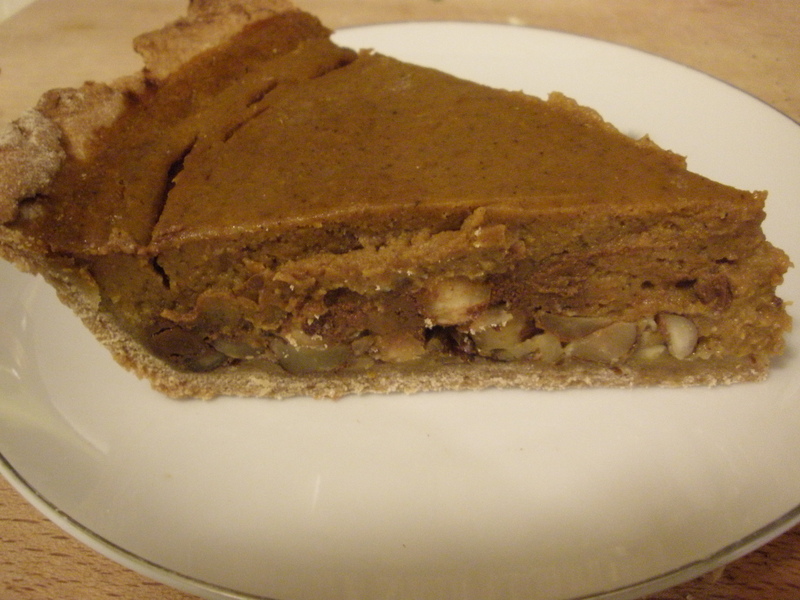 For the pie crust, I employed the help of my food processor to mix the dough–it worked very nicely, but you can make the dough with a pastry blender or even a fork. 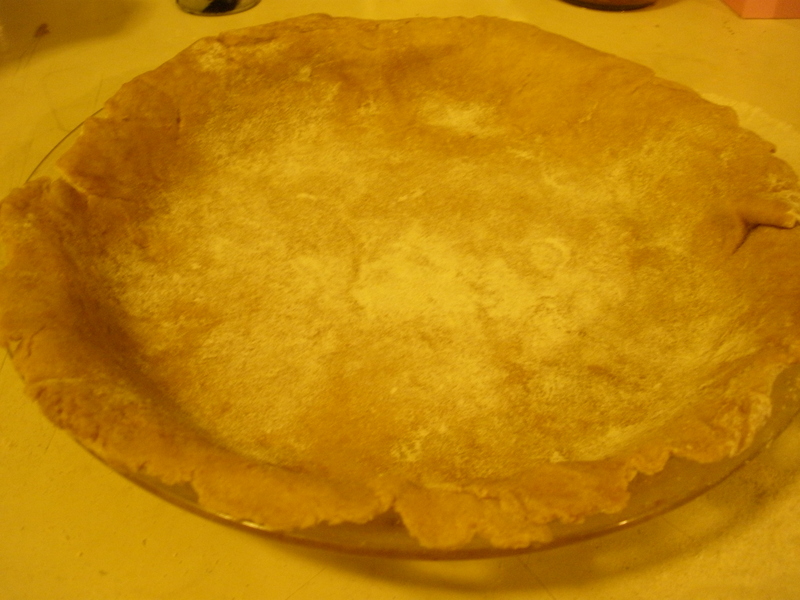 Though this is the crust I used, feel free to buy a pre-made crust or use any recipe you like. Martha’s recipe has always given me excellent results. Makes enough dough for two crusts, or a top and bottom crust for one pie. Put flour, sugar, and salt in the food processor, and pulse a few times to combine. 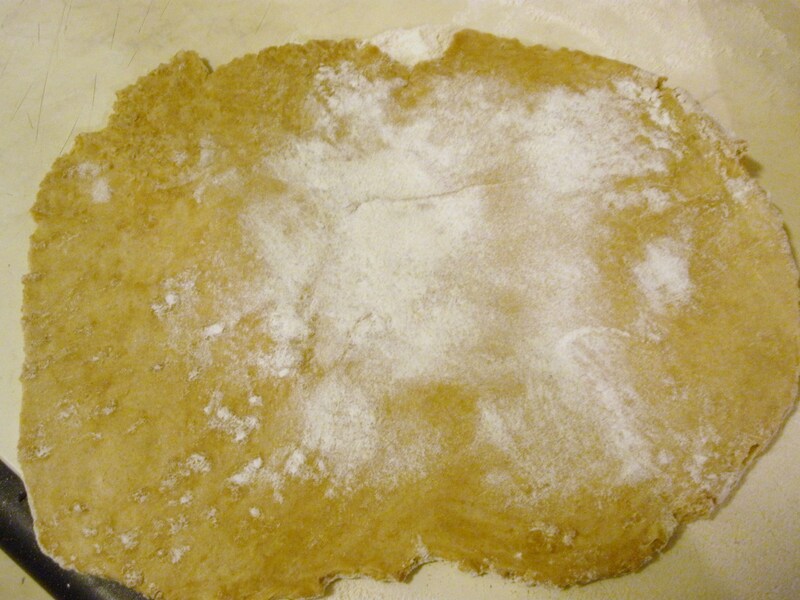 Add the butter and run the processor until the dough looks grainy–the butter and flour are completely combined. As you pulse, add the ice water little by little. The dough should stick together now and not be grainy–the water should be enough to bind everything together. Form the dough into two equally-sized balls with your hands. Store one for later use. 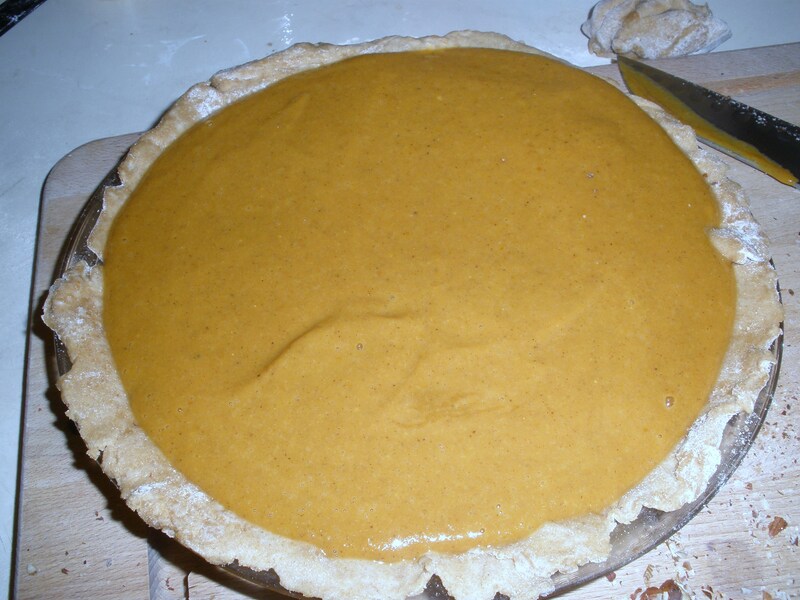 Refrigerate the dough you will use for the pumpkin pie until you are ready to put together the pie. What you don’t want is for the dough to get warm…the butter should not melt. Bad! Preheat oven to 350 degrees. 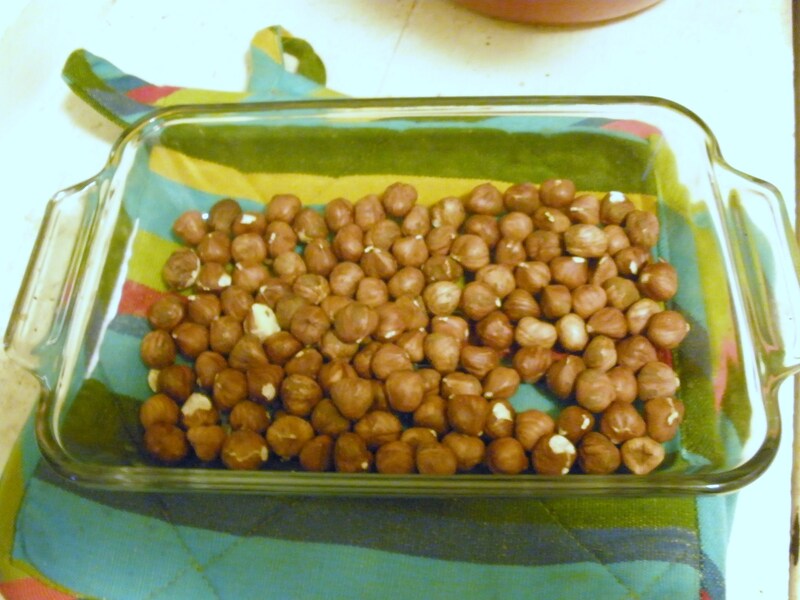 Place the hazelnuts in a small baking dish, and toast for about 10 minutes. Set aside the hazelnuts. Prepare the pie filling. 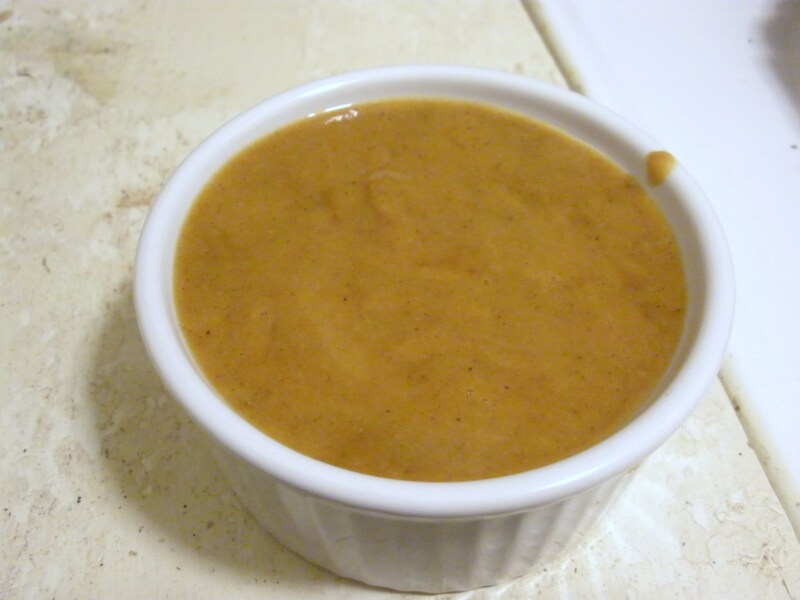 Mix the brown sugar, spices, salt, and arrowroot in a large mixing bowl. 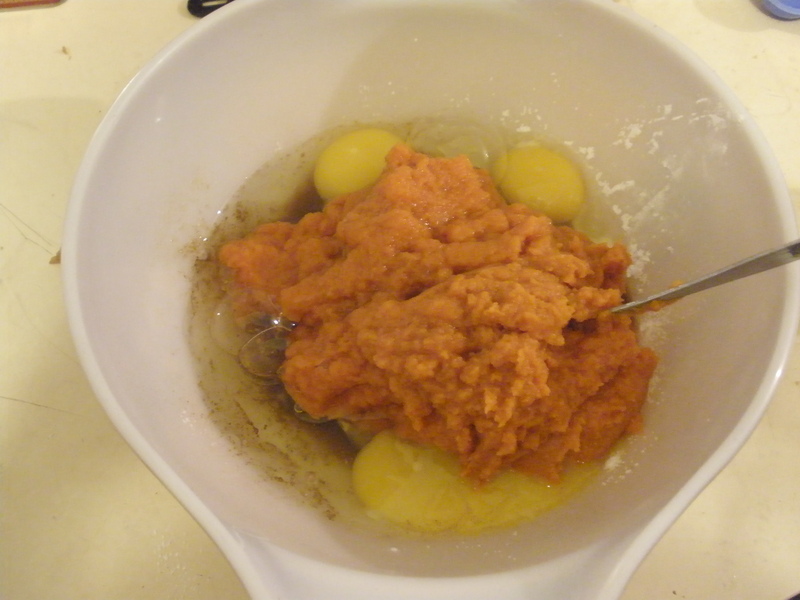 Once combined, add pumpkin puree and vanilla. 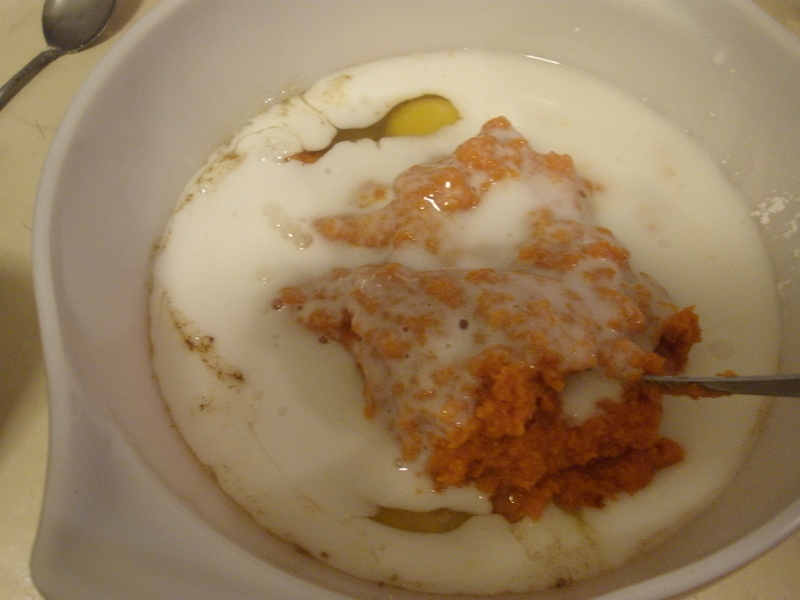 Then, add eggs and coconut milk. 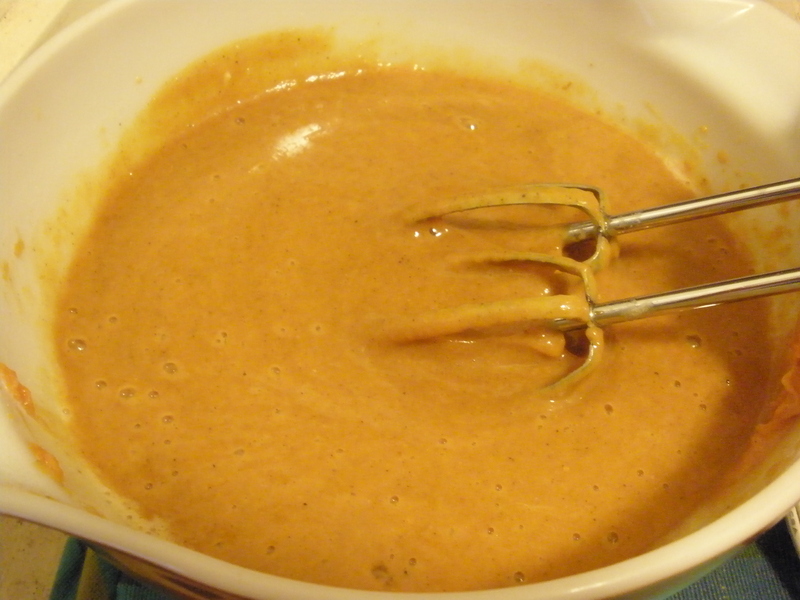 It is easiest to use an electric mixer, but a whisk will also work. 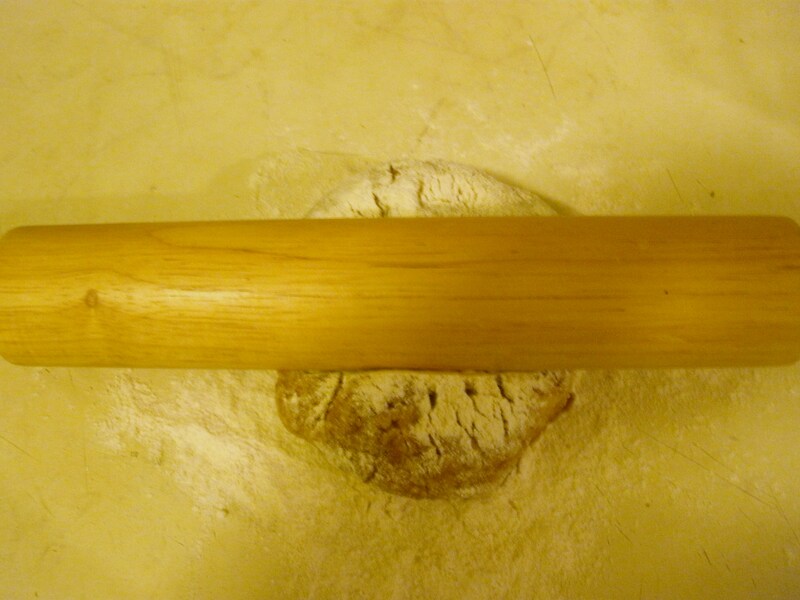 Next, roll out the dough on a floured work surface. Next, place the crust in a pie pan. Trim the edges. I used the excess to make a few tiny pies with leftover pie filling. 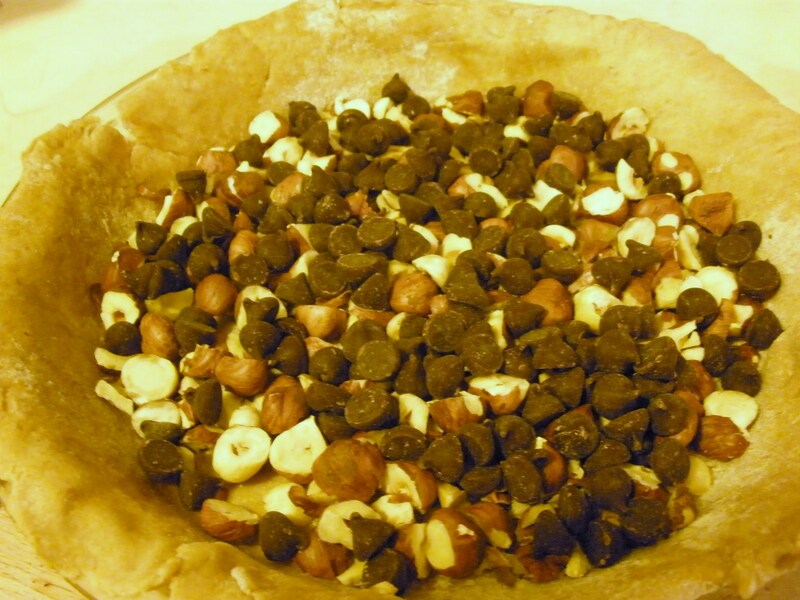 Next, add the hazelnuts and chocolate chips to the bottom of the crust. Lightly chop the hazelnuts first if you like. Next, pour the pie filling over the crust. 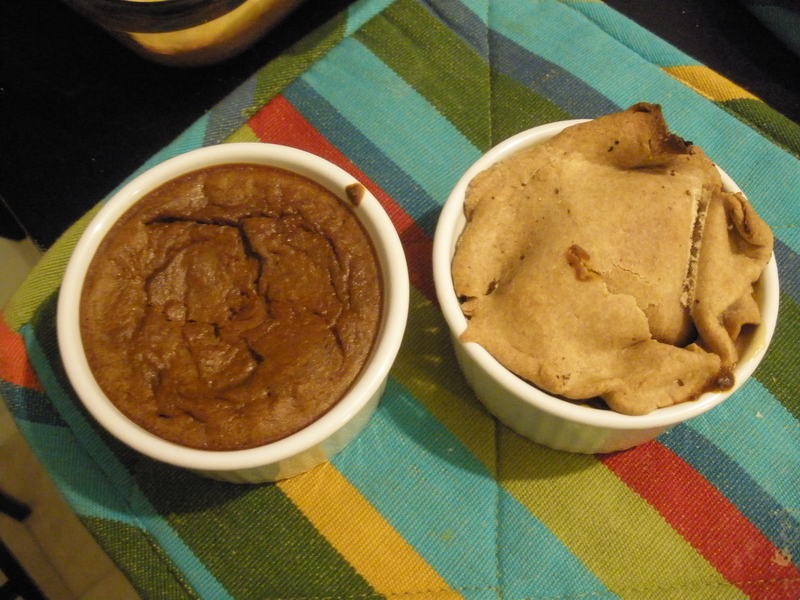 I had a bit left over, which I used to make tiny pies in small ramekins (see pictures that follow). Bake the pie for about 40 minutes, then check. Stick a knife in the center, and if it comes out clean, the pie is done. The pie may take up to 50 minutes, but my oven seems to cook things faster. My small pies had to come out after about 30 minutes. I made one small pie with just the filling, and the other with crust on top and bottom. Yum! Though I did not serve the pie with whipped cream, that would make an excellent addition. Not Cool Whip for god’s sake…real whipped cream! 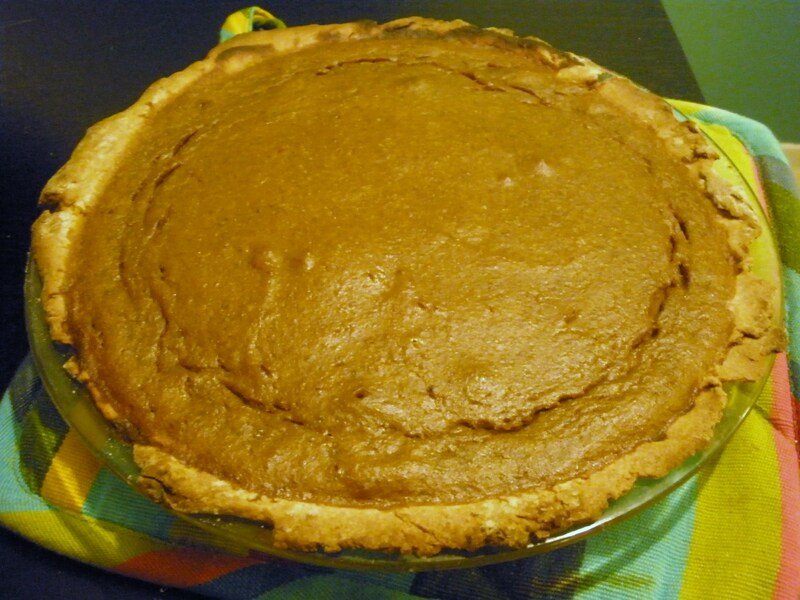 This pie is excellent with a cup of strong coffee. wow ,this pie sounds incredible!